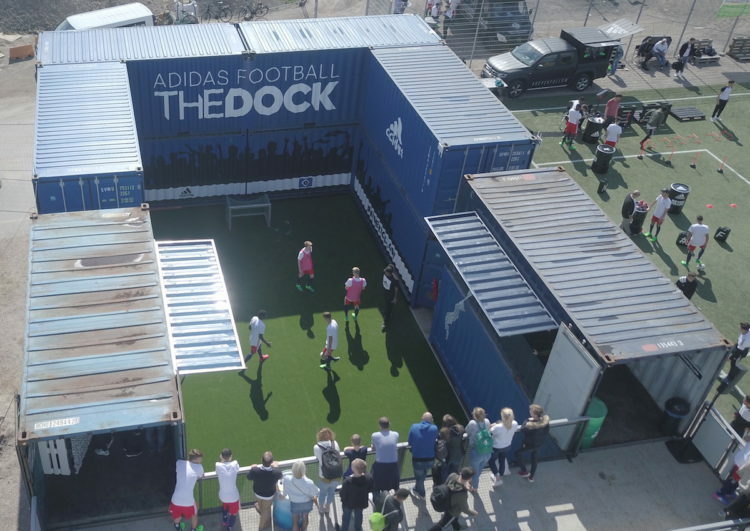 The urban container stadium was commissioned by Football Magazine and had two floors, consisting of eight 20ft containers on the ground floor and another six 20ft containers, as well as two 20ft platforms on the first floor. It was played within the interior and in a “2 vs 2 mode”. Away from the field, lots of action was waiting for the street footballers, including a speed course, gaming, and test shoe rental.